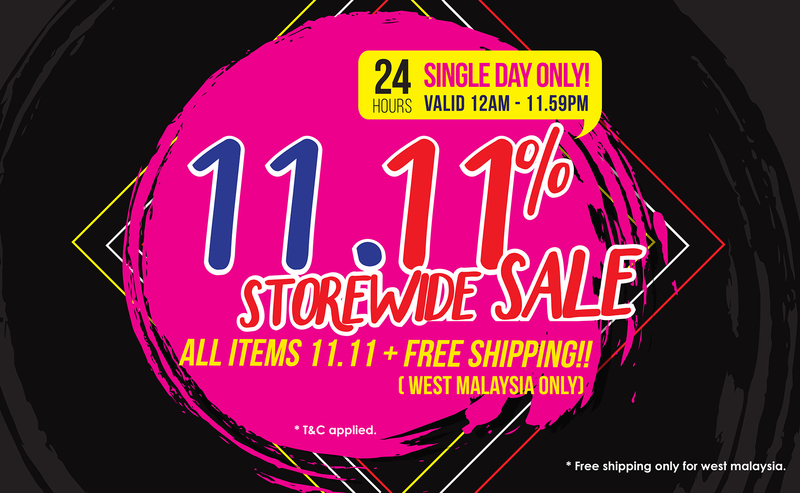 Enjoy 11.11% off on all orders + FREE SHIPPING within West Malaysia! Back by popular demand, Go Direct Online Store’s Biggest One Day Sale Campaign is Back! This year, enjoy a discount of 11.11% on ALL ORDERS, and we’ll even throw in FREE SHIPPING within West Malaysia! With over 500 items to choose from, this is the best time to shop for high quality products on Go Direct Online Store! Promotion is only valid on Go Direct Online Store (www.godirect.com.my). Promotion valid on 11th November 2018, 12:00am till 11:59pm. All products are eligible for 11.11% discount. All prices listed are subjected to shipping fee (East Malaysia). All prices listed are not inclusive of 11.11% discount. Final discount will be reflected during check-out. A minimum subtotal of RM60 (excluding shipping fee) are required to proceed with order. Free shipping is only valid within West Malaysia (Peninsular Malaysia) only. Non-promotional items can be mixed with promotional items in a single order. This promotion cannot be combined with any other on-going promotions on godirect.com.my. Colour of goods are assorted and based on stock availability. Promotion is non-transferrable or redeemable for cash or credit. Go Direct Online Store reserves the right to cancel or modify any order, as well as revoke the use of free shipping promotion for any reason without notice, if found that any offer terms are violated. Go Direct Online Store reserves the right to amend these terms & conditions, as well as modifying or cancelling any promotions without prior notice. Orders placed online will be processed the next working day if in stock.